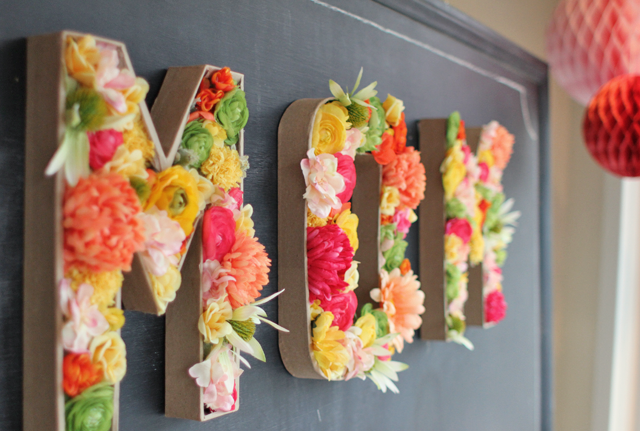 We are in love with the gorgeous floral letters. They're perfect for a party, and light enough to hang using mounting tape instead of nails. Imagine a pair of these for an engagement party with the bride and groom's initials! The tutorial calls for silk flowers, but you could also use tissue paper or cupcake-liner flowers instead.